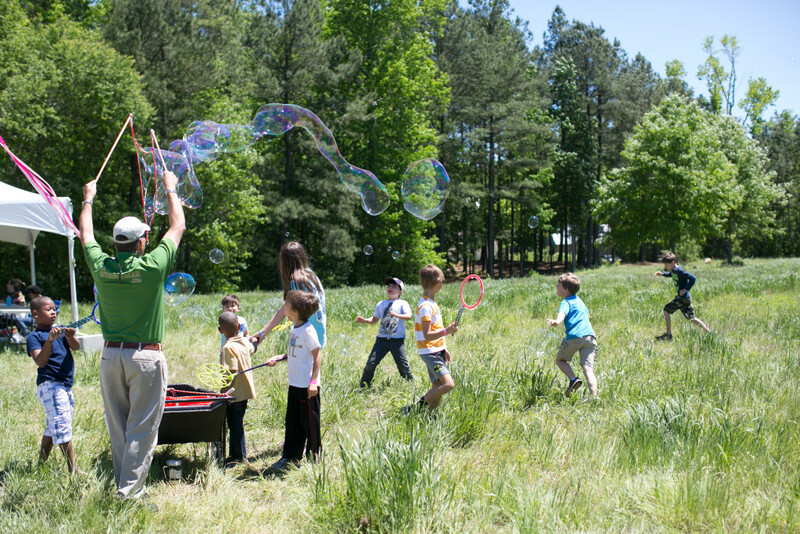 Twelve years ago, Serenbe hosted our first May Day with a few artisans, a handful of visitors and our fledgling community. Earlier this month, our May Day festival was so massive the tents were erected on Friday for the Sunday event that the marketing team, including my daughter Quinn, had been planning for months in advance. They have it down to a science — everyone knows what their part is and the job gets done in a very organized, graceful style. Having all the logistics nailed down leaves room for magic to show up in many different ways, like the perfect 70-degree temperatures and blue skies with clouds like puffs of cotton. And the bubble blower, whose wheelbarrow was stacked with buckets of his very specific bubble mixture. He dipped his sticks in, waved them in the air and created beautiful bubbles children chased in the fields. 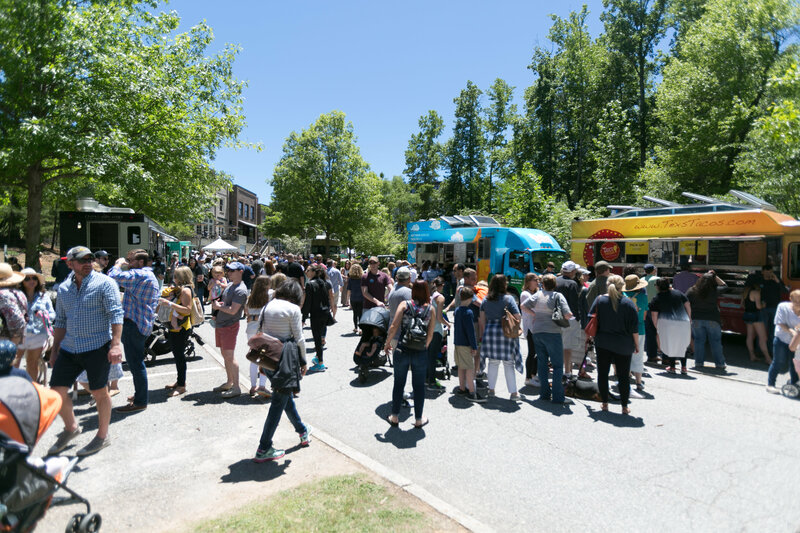 Food trucks and artisans does not a festival make. It’s the joy of being able to bring some of the city to the country. Reconnecting to the innocence of being out in nature. 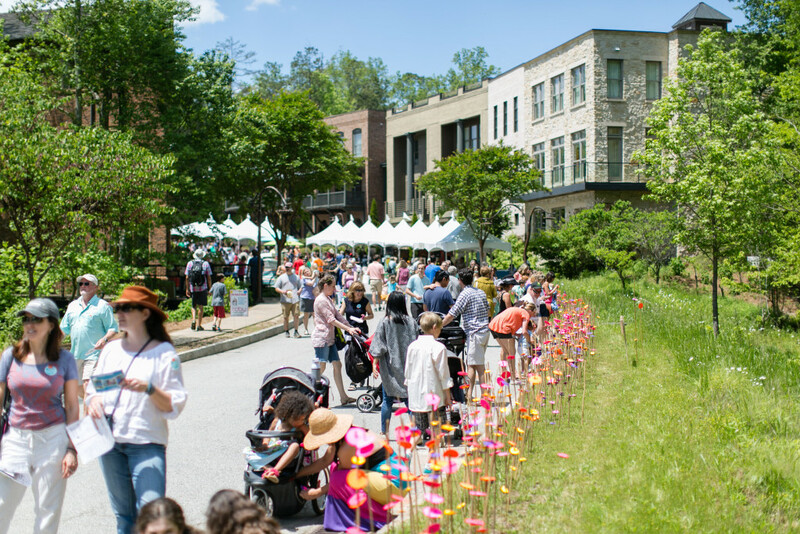 And people out fully enjoying the magic and beauty that is Serenbe.